When a mysterious man walks into a bowling alley, he attacks and kills a man with a bowling ball, then immediately asks for a lawyer when the cops break in. Meanwhile, Wesley shows up at Murdock and Nelson, offering to hire them for a special client. Guess how the two are connected? That's right, Matt and Foggy have to figure out how to get a man cleared of murder charges when he's clearly guilty, and there are multiple witnesses to prove it. In this episode, Murdock returns to the courtroom. I like the "case of the week" format. Hope it continues. It's sort of like Law and Order, except the lawyers punch people. They should actually do that show. I loved how they managed to come up with a plausible defense in this episode, showing Matt and Foggy are genuinely good lawyers. Also, Matt once again finds himself fighting outside the courtroom for details on the case. 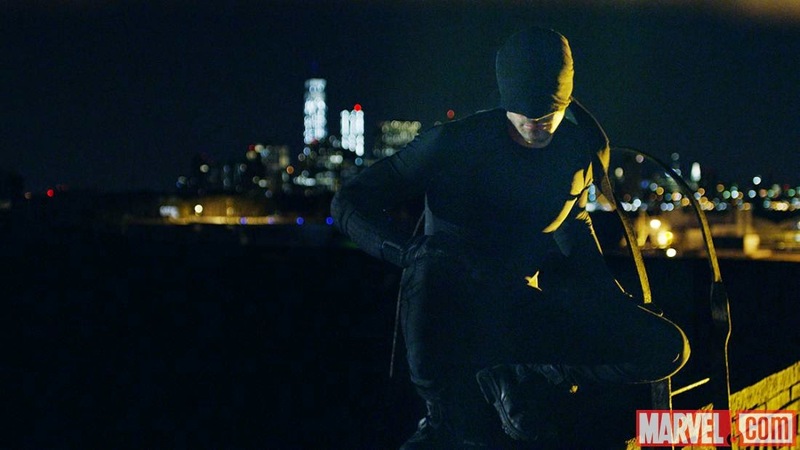 The combination of the legal and vigilante aspects of the episode are handled brilliantly. The case also makes Foggy question their morality. It's a good callback to Foggy's argument in the first episode that he didn't care if their clients were guilty or innocent. His own words come back to haunt him. The subplot on this episode involves the aftermath of Karen's arrest for murder. Her former employer wants her to sign a contract absolving them of all responsibility and keeping quiet about it while giving her a huge bonus. Karen has to question her own morality as well, and the consequences of the dead man left behind. I can't say too much else about the episode, because it has all sorts of twists that I don't want to reveal. But by the end, Murdock is getting an inkling of the dark forces aligning in Hell's Kitchen. 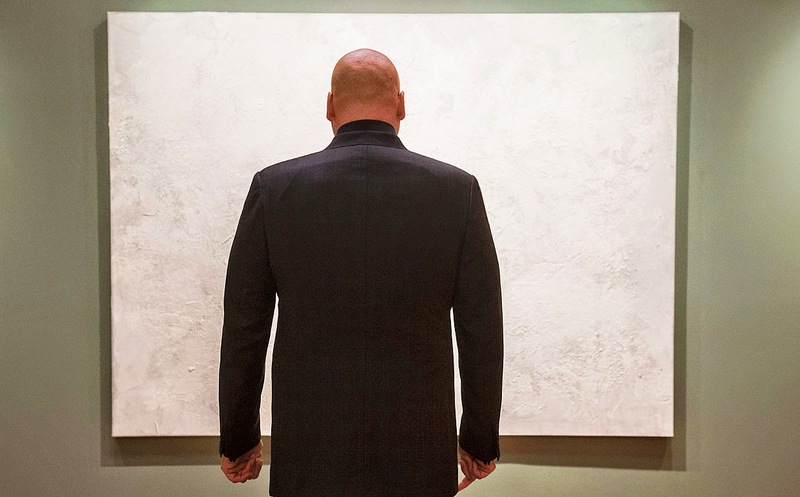 And we finally get to see Vincent D'Onofrio as Kingpin! Squee! Oh, something I also forgot to mention in my review of "Cut Man" is the woman Matt's father called before he was killed. It sounded like Matt's mother. I hope they bring her in, because they've never really focused on Matt's mother in the comics or the movie. Okay, I'm gonna watch the next episode now. What did you think of this episode? Have you seen the show yet? We watched the second one last night and will watch this one tonight. Vincent D'Onofrio is making me like Kingpin. I like that they're revealing the origin in pieces as well, that way we didn't have to sit through an origin episode to get to the real story. And I agree, Rosario needs more screen time. But her role as Daredevil's nurse gives her a lot of presence in the fourth episode. And it was wicked dark! I like the dark, serious tones of this series. And we finally saw Kingpin.